You’ll normally need to pay an “early termination charge” or “early exit fee” when cancelling your mobile phone contract in the UK. In the UK, Pay Monthly mobile contracts often have a minimum commitment of 12 or 24 months. During this time, you’ll be tied in to a contract with your mobile network and you’ll need to pay an “early termination charge” or “early exit fee” for ending your contract early. Typically, the early exit fee is equivalent to paying off the remainder of your contract, although you’ll sometimes be able to get a small discount on it or on elements of it like VAT. Even if you’re out of contract and moving to another mobile network, you’ll sometimes be charged up to one month of additional line rental. This is because many mobile networks require you to give 30 days notice and will continue charging you for a period of 30 days after you decide to leave for another network. In this article, we’ll look at the costs of leaving your mobile network and how much you can expect to pay for cancelling your contract early. We’ll discuss the fees and discounts available on each network before looking at some alternative solutions that may work to be cheaper. If you’ve purchased your mobile phone on contract from a mobile network in the UK, it’s likely you’ll have signed up for a 24-month contract. If you’ve purchased a Pay Monthly SIM card, you’ll often have signed up for a 12-month contract. If you decide to leave your mobile network during this 12 month or 24 month contract period, you’ll normally need to pay an early termination fee. Even if you’re out of contract, you’ll sometimes be subject to paying a contract termination fee to cover the 30-day notice period after you request a PAC Code. 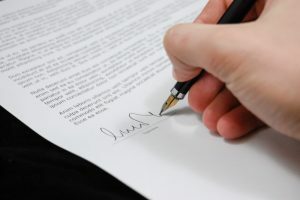 This may lead to a situation where you’re paying for two contracts at the same time – a situation that has been criticised by regulators like Ofcom but that still occurs at the time of writing. In this article, we’ll discuss the early termination fees you can expect to pay on major mobile networks in the UK. We’ll also discuss a number of ways to potentially side-step these charges: for instance, by upgrading your handset outside of your contract or finding alternative ways to improve coverage on your phone. The exact fee you’ll pay for ending your contract early will depend on the amount of time remaining on your contract. It will also vary on a network-by-network basis, depending on the discounts they’re able to offer. On BT Mobile, you’ll pay an early termination fee if you’re ending your contract early during the minimum term. This is described in clause 18 of the BT Mobile terms and conditions. The early termination fee depends on how much time you have remaining on your 12-month contract period. For instance, if you had 1.5 months remaining on the BT Mobile 1GB plan, you’ll pay an early termination fee of 1.5 months x £8.00 per month = £12.00 early termination fee. If you’re on a BT Mobile Pay Monthly handset plan, the early termination fee will depend on the handset you purchased. Please see the BT Mobile price guide for more information on how to calculate this fee. If you cancel your 24-month contract during the initial 6 month period, you may also need to return your handset to BT. On EE, you’ll need to pay an early termination charge (ETC) if ending your contract during the minimum term. This is equal to 96% of the remaining monthly charges for your minimum term, with VAT deducted. If you’re cancelling outside the minimum term of your contract, a 30 day notice period will still apply. You’ll be charged the full monthly amount up until the end of the 30 day period (EE calls this a “Notice Period Charge”). You can cancel your EE contract by calling 150 or submitting your request online. Source: EE Help: How do I cancel my Pay Monthly plan? On giffgaff, there are no early termination fees as you aren’t tied in to any contracts (you can change your goodybag or cancel it at any time). Any credit you’ve added to your account is non-refundable so you should use it up before leaving for another network. If you’ve bought a handset from the giffgaff phone store, you can continue paying for this on a separate agreement even if you don’t continue using your giffgaff SIM card. The handset repayment plan is provided by RateSetter as opposed to giffgaff – you can read our full review of the giffgaff phone store for more information. If you decide to leave before your minimum contract period, you may be charged an early cancellation fee. You can view your early cancellation fee in the iD Mobile app or My Account area – under ‘My account’, on the ‘Manage my plan’ tile click ‘End my plan’. You’ll then see your ‘Estimated cost of a cancellation’. If you’re a customer on an O2 Refresh plan, you can leave by paying off the remaining balance on your Device Plan and by giving 30 days notice and paying for this on your Airtime Plan. If you’re on a standard 24-month contract (which will be the case if you joined O2 through a third-party retailer), you’ll need to pay an early termination fee which is based on the remaining amount of payments for the minimum term of your plan. You should check with O2 Customer Services on 202 to find out how much this will be. Plusnet provides SIM-only plans on a 30-day rolling basis. You can cancel your contract at any time by giving 30 days notice. You’ll need to pay the full monthly fee for this 30-day period. On Sky Mobile, you’ll need to pay an early termination charge if you cancel your mobile contract before the end of the minimum term. This is calculated based on the number of remaining months left in the minimum term of your contract. If you’re a Sky Mobile customer you may be able to reduce the amount of your early termination charge by changing your plan and removing any optional extras before you cancel. If you have a credit agreement for your phone and don’t have any more active SIMs, we may ask you to repay any credit outstanding when you cancel. If you’re cancelling your contract early on Tesco Mobile, you’ll need to pay an Early Termination Charge. According to the Tesco Mobile terms and conditions, this “will never be more than your monthly subscription price multiplied by the number of months remaining on your contract”. Lump sum equivalent to the total of the Monthly Charges remaining during the Minimum Term of your agreement less a variable discount, currently 20%. We reserve the right to vary the amount of the percentage discount from time to time. You will still have to pay your full monthly charge during your 30 day notice period as we will continue to provide you with the service for the period of your notice. You can cancel your contract by calling 789 on your Virgin Mobile handset. Alternatively, you can call 0345 6000 789 from any other phone. If you’re leaving Vodafone in the first 30 days of your contract, you can take advantage of the 30-day network guarantee to exit your contract for free. To get the exact figure that relates to your plan, contact Vodafone Customer Services on 191. Source: Vodafone Support: How do I cancel my contract? When possible, we’d strongly recommend against cancelling your mobile contract early. This is because of the incredibly expensive early exit fees. Thankfully, you can often side-step these early termination charges, perhaps by changing your handset outside of your contract. If you simply want to change your handset, you can do this outside of your 24-month contract. This is a good option if you need to replace your phone for some reason (e.g. if you’ve lost it, if your old one has stopped working or if you’d simply like an early upgrade). To upgrade your handset outside of your existing contract, look for a SIM-free or unlocked handset. These are available from a range of retailers including Amazon, Argos, the Carphone Warehouse and John Lewis. You can simply place your existing SIM card into one of these unlocked handsets to continue using your contract without early termination fees. 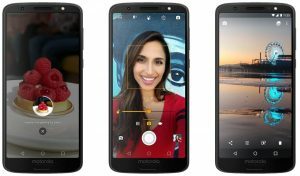 When buying a SIM-free smartphone, you should expect to pay a little more upfront (typically around £150 for a decent mid-range handset like the Moto G, and around £600 for a flagship device like the iPhone 8). Although this is a large upfront expense, it saves you from paying an early exit fee and doesn’t require you to sign a new contract. To recoup the costs, you can also recycle your old handset and you can switch to a SIM-only deal as soon as your contract comes to an end. If you’re struggling with poor coverage at home or at work, it’s always worth talking to your mobile network. 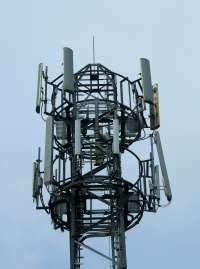 It might be a temporary issue due to local mast maintenance, or there might be work scheduled for the future to improve coverage in your area. Often times, your mobile network can also sometimes provide solutions to improve coverage. For instance, it might be possible to enable a wi-fi calling service for your mobile phone. Alternatively, they may offer you apps and accessories to improve the coverage in your home without you needing to switch to another network. Unfortunately, very little can be done regarding early termination fees if you’re leaving the UK. If you’re planning to return to the UK sometime in the future, it might be best to keep your account open. It means you’ll preserve your UK phone number, and you won’t need to find a lump sum to pay the early termination fee. You’ll also be able to use your phone across Europe (often for free, or with a minimal charge if you exceed fair usage allowances). If you’re not planning to return to the UK in the future, you can ask to see if a friend or family member wants to take over your contract. Mobile phone contracts are a form of consumer credit, just like a loan from your bank or credit card company. If you think you might have difficulties paying your next bill, there is lots of support available from different organisations. In the first instance, contact your mobile network as quickly as you can – they should be able to offer you some alternative payment options. 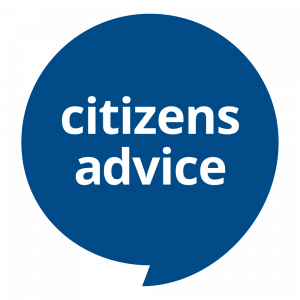 You can also consult Citizens Advice Bureau and StepChange Debt for advice. If you were to simply cancel your contract without paying an early termination fee, your details will normally be passed to a Debt Collection Agency. This will affect your credit rating, and the debt will likely be pursued by other means. Going forward, you may find it helpful to get a free Pay As You Go SIM card as this will give you much better control over your mobile phone spending. There will also be no contracts and no early termination fees, meaning you’ll have a lot more flexibility in the future. On most Pay Monthly mobile contracts, there is also a 30-day notice period, which applies from the date you ask to cancel your contract. This applies even when you’re outside the minimum term of your contract. If you change from one mobile network to another, requesting a PAC Code normally serves as notice to end your contract. You’ll pay the full regular monthly fee for the 30-day notice period after asking to cancel your contract. This may lead to a period of “overlapping contracts”, where you’re paying both your old provider and your new provider at the same time. Regulators like Ofcom have complained about this practice, but unfortunately, it’s still fairly commonplace at the time of writing. For the time being, the best way to minimise overlapping periods is to request your PAC Code earlier or to delay your switch by up to 30 days. If you’d like to move your phone number to another network at the same time, make sure to request a PAC Code whilst you’re on the phone. We'd love to hear your thoughts and any questions you may have. So far, we've received 218 comments from readers. You can add your own comment here. My contract with three ends at the start of june. I spoke with them about paying my early termination fee of £20 and requested my pac code but they said i cannot do this as i am still in contract. If i chose too terminate early i would lose my number. Can they do this? I thought if i request my PAC and and am happy to pay the termination fee i could keep my number? Thanks for your comment. I think what they’re saying here is you aren’t able to pay the termination fee in advance whilst you still have an active plan with them. You can request a PAC Code at any time without triggering the early termination charge. Instead, the charge is calculated on your final bill only once you’ve actually used that PAC Code to move to another network (the exact charge will depend on how many days you had left on your contract, so until you do this, they won’t know exactly how much to charge you). I have taken a sim only contract with o2 at £12 per month. I was pay as you go and was advised by an o2 salesman to take the sim only deal and save £3 per month. I was assured I could keep my current number but when the pack arrived i went to an o2 shop for assistance in activating the sim. The assistant then informed me I could not do that with the sim I brought in with me and suggested I cancel that sim and take out the same deal in the o2 shop and she would do everything including saving my current number. However I discovered in addition to my £12 sim payment on 8March there was an additional payment taken from my account on the 22 March for £108.16 on the same details of my sim only payment. When i phoned up o2 to inquire what the money was taken for was informed it was for early termination of contract. I was not made aware any charges were levied against me by phone call or in writing so I just noticed I had lost money from my account to o2 without my knowledge or authorisation. I have been assured that my money will be refunded as I explained I was within the cooling off period in the first instance and would question how the claim was raised and money extracted without consultation with me. There is a concern for me that I could have missed this transaction if I did not check my bank account. they will take between 7 to 14 days to return my money to me. Should I report this to Off com or to o2 by way of a complaint and seek some kind of compensation for their behaviour in taking funds without authorisation ? Thanks for your comment. I would certainly make a formal complaint in writing about this to O2, detailing exactly what happened and the fact they didn’t properly follow their own cooling off process. Regarding Ofcom, it’s unlikely they’ll look at your individual case (this would be something for the ombudsman). However, there’s certainly no harm in letting them know what happened as the feedback helps them to prioritise future investigations, etc. Hi Ken, I have been contacted by debt collector group to pay certain large fees and after calling them on 3 separate occasions (and paying) I was told that Three would reconnect my service and I was still owing money from the rest of my contract despite having my plan cancelled by Three in July under the special condition premise I would return my mobile phone. Having returned my mobile phone and moved overseas I am still being charged the ridiculous cancellation amount despite not even having a physical handset? why is this so high still? how do i get around this? I’m really sorry but I’m not able to advise on the details of this situation 🙁 My recommendation would be to review the details of what Three previously promised you, possibly with the Citizens Advice Bureau. You can then decide on the next best steps. I am prepared for that but I would still like PAC can my network refuse?? I don’t believe that unpaid debt can be used as an excuse not to provide you with a PAC Code (otherwise, they’d potentially be forcing you to run up additional debts). You will however need an account that is still active on the network, and an early termination fee will be triggered once you move your phone number to another network. Hi . I’ve got some question about cancel my contract . I’m planning to leave UK soon , so my contract should expired next year . Is it my right to cancel it ? because i will not have any money on my UK account . I’m moving to America . I will have problem with payment every month. im looking for advice what should i do ? Sadly, it won’t be possible to cancel your contract without penalty, as described here. Is there anyone who might be happy to “take over” the contract on your behalf? Alternatively, is it possibly worth keeping the current contract for your trips back to the UK? Hi I have a 24 month contract with 3 mobile but with a minimum term of 12 months does this mean I can cancel or upgrade my contract after 12 months ? Thanks for your comment. Unfortunately, I haven’t come across this before – could you provide any more information on which product it is you have with Three exactly? Normally, a 24-month contract will have a 24-month minimum term so I’m not sure where the 12-month figure comes in! Hi, I have a contract with 02 with unlimited calls texts, however i keep getting charged to a certain number, its not a number out of the area the person lives wihen 30 minutes walking distance and its a normal mobile number, they agreed something wasnt right and said were investigating why i was getting charged every call to that number, that was two months ago. and still no one has got ack to me and im still getting charged, Am i in my rights to cancel my contract as they are not fulfilling my agreed contract? That’s very odd. Some phone numbers beginning with 01, 02, 03 and 07 are excluded from UK allowances but this is typically because they’re non-UK (e.g. Isle of Man & Channel Islands) or non-mobile (e.g. personal numbers beginning with 070). My recommendation would be to put a formal complaint in writing with O2 to get this issue escalated and hopefully resolved. Unfortunately, I’m not a lawyer so I can’t advise on whether this is breach of contract. My guess is this wouldn’t count as breach of contract (and therefore you wouldn’t be able to cancel without an extra fee). However, you are fully entitled to a refund of any amounts they have incorrectly charged you for phone calls that should have been included. I’m currently going through a massive dispute with Vodafone, I received a faulty handset which leaked data and broke down twice 2 days after the 30 day cool off. They wouldn’t replace and said I would have to send in for repairs, without ample replacement, In the end and with no help from Vodafone, I went to the apple store and used my warranty to replace the faulty handset. Only wanting to compensate £30, I am not satisfied with this. I have now left Vodafone and will get a fee for leaving early. I had a contract with my partner via Vodafone, the account was originally in his name but when I upgraded in a Vodafone shop (my partner was also there) about 4 years ago we asked for it to be in my name as he no longer had his number with Vodafone. In May last year I upgraded via phone call with Vodafone and added another phone onto the account doubling my monthly commitment. I have recently contacted them about a problem with my phone and they are now saying that I am not the account holder, just authorised on the account and are refusing to action certain requests. My ex partner has had to go into a Vodafone shop and provide ID to sign a transfer of ownership form as he obviously didn’t know the security questions as I set them (they let me!) when I upgraded last year. They are now saying they have to complete a credit check on myself even though I have been paying the bill without fail for four years and to be honest I am sick to death of them telling me what they can’t do, when they have admitted they have breached their own rules in allowing me to upgrade last year and I want to transfer my number away from them, surely there is no regulated contract that they can hold either of us too and therefore charge me an early termination fee? Any advice would be great thanks. Thanks for your comment. Sadly, there isn’t very much I can provide in terms of advice, but it does like the proper due process hasn’t been followed within Vodafone. I’d strongly recommend putting a formal complaint in writing with them which will help to escalate the issue and ensure it is looked into properly. Besides that, I wish you the best of luck of getting a resolution from this, and if applicable, being able to take your phone number from Vodafone to another network. Hi, I’m currently with o2 12 month sim only contract, I want to get a new phone and sim and get off o2 but I called them and they saying to pay the remaining 10 months of my sim only contract. I really don’t want to do that, anything I could do???! Thanks for your comment. Unfortunately, if you’re tied in to a 12-month contract, you’ll need to pay off the remainder of it if you’d like to end the contract early. As an alternative, have you considered buying your new handset SIM-free and then continuing to use it on your O2 SIM Only contract? This will save you from having to pay the early termination charge, and of course, you’ll be saving money every month on your contract as well. Many thanks for your comment. I assume you’re on a Pay Monthly contract with Virgin, rather than Pay As You Go? I assume so but I was a little confused by the mention of a top-up date! To answer your question, if you’re on a Pay Monthly contract, you’ll need to give Virgin Mobile 30 days notice to end your contract. I’d therefore recommend doing this and asking for your PAC Code as soon as you can. Towards the end of those 30 days, you can then give the PAC Code to your new mobile network to minimise overlap between the two deals. hello i’m leaving the country outside EU so i won’t be able to use my phone, i still have to pay 9 months to EE which i consider that is too much for not using the line…is there any alternative?, what if i just not pay? Many thanks for your comment. Unfortunately, there aren’t any easy ways to get around this, unless there is somebody you’re possibly able to transfer your contract to. Alternatively, you may wish to keep the line active for future trips back to the UK. My Vodafone pay monthly 2 year contract is due to expire mid October. My earliest upgrade date was today. I’ve confused the two dates and have ordered a pay monthly phone from Carphone Warehouse (still on the Vodafone network) and would like to keep my number. I’m just wondering what the cancellation fee would be and when would be the best time to request a PAC code. Many thanks for your comment. You should contact Vodafone directly to get a pounds and pence figure for how much it would cost to cancel your contract. Based on the information you’ve provided, I think it’s likely they’ll charge you on the old contract until mid-October, although they’ll potentially waive some of this if you’re upgrading to a new contract. I’m looking at changing from 3 to another network. 3 have advised that if I cancel mid month (my contract is up shortly) then I’ll have to pay a full month’s fees and not a partial month. Surely this can’t be right? I’m suspicious that it’s another sales tactic to get me to stay with them. Based on my understanding, this shouldn’t be the case. They’ll charge you the full month’s fee via Direct Debit as normal. However, you should receive a refund for the unused days between the end of your 30-day notice period and when they’ve charged you until. From memory, you do need to call up Three to ask for this refund but it may have changed so it’s worth double-checking this with them. My 2 contracts are up on 17th and 18th July and I am trying get to give my 30 days notice but Vodafone want to charge the early termination fee of £17 and £11 on each contract. How is this possible when the 30 days end would actually be after my contract end date. If I handed my notice in on the respective dates Vodafone are effectively making me stay with them for an extra month and I didn’t sign up to a 25 month contract. Kind regards. Many thanks for your comment. Unfortunately, the way it works at the moment, is you need to give 30-days notice to end a Pay Monthly contract. Therefore, if you want it to end after exactly 24 months, you’ll need to request your PAC Code on the final day of the 23rd month and then you’ll need to transfer your phone number out on day 30 of your notice period. Obviously, this doesn’t make very much sense and I definitely share your frustrations in this area. I know Ofcom are currently legislating to stop this from happening, as lots of people end up paying for two contracts as they change from one mobile network to another. Many thanks for your speedy and informative response Ken. Hi, my wife and are on Virgin. For the past 6 days we’ve not been receiving calls to our mobiles, and after several calls to customer services and being supplied with 2 new sims, we’ve had enough . When I called again this evening to cancel my contract, they said I would have to pay a fee, which normally I would agree with, but surely they have breached the contract by not supplying the goods I pay for ? Thanks for your comment. Unfortunately, I can’t really advise here as it’s a dispute between you and Virgin Mobile around the terms of the contract. However, I would definitely recommend putting your complaint in writing with them as this should hopefully help to escalate the issue and allow you to come to a resolution. I am considering changing network and trying to work out how much this may cost me. I started my contract with EE in July 2015, when I bought my handset outright, so am well outside the 24 months contract term. However I did not do anything to renew or upgrade but continued to use their network after July 17. Does this mean my cancellation fee would be calculated from the remaining months of a second 24 month contract? ie about 18 months worth? Struggling to understand how this works. Many thanks for your comment. If you didn’t renew your contract at the end of the 24 months, you would have continued your contract on a 30-day rolling basis. Therefore, your early cancellation fee should be no more than 30 days usage, calculated from the date on which you give notice to EE you’d like to end the contract. Many thanks for your comment. Unfortunately, this is just how existing contracts are written (you can still leave within the 30-day period, but it just means you’ll need to pay for the remainder of the 30 days). Ofcom, the UK’s telecommunications regulator has flagged this here, and it’s due to be changed soon (at the latest, on the 1st July 2019). I realise this doesn’t really help you at the moment, but there’s a definitely widespread agreement about the unfairness of this charge. I’ve been with Vodafone for years and at the start of this month I took out an upgrade contract with them for a new iPhone 7 over 24 months. I’m now thinking that I’d like to buy the phone outright and go onto a sim only deal with them. Is this possible and what are the likely charges. I understand I have 30 days from the start of the contract to change it. I believe you’ll need to contact Three Customer Services on 333 if you’d like to cancel your contract with them. Can I get PAC CODE before 2 weeks time of my contract finished from 3. Yes! You can request a PAC Code at any time. Once you have it, it will be valid 30 days from issue. Nothing will happen to your existing contract until you actually use the PAC Code, so there’s nothing to lose getting it early. In fact, I’d normally recommend this as good practice as you’re normally liable to pay for your old contract on Three for 30 days after the date of your PAC Code request (this is because they require 1 month notice for you to end the contract). Hi Ken,I just made a contract with Three about 2 days ago but the phone is faulty and I want to cancel the contract because I want another phone.do I have to pay a cancellation fee? Many thanks for your comment. I recommend speaking to Three to discuss your options, but as you’ve only had the phone for 2 days then I believe this should be fine. If you bought it online, it’ll be covered by distance selling regulations… otherwise, you’ve got the cooling-off period and also the warranty on the handset. Thanks for your comment. There is no minimum amount of time you’ll need to have used a SIM card before moving to another network. The only restrictions you want to consider are contractual requirements (e.g. if you get a Pay Monthly contract, there’ll probably be a minimum contract term and also a 30-day required notice period). Similarly, on Pay As You Go, you’ll forfeit remaining credit and bundle allowance when leaving the network. I took out a couple of one-month SIM Only contracts with the intention of only using them for a month or so. I didn’t take particular care to stop them from rolling over into the second month because I thought they would only bill me for the amount of days I used after the first month. I terminated the contracts – which were with Plusnet and Vodafone – by means of porting out. Both networks billed me in full for two months. Am I entitled to a pro-rata refund for the amount of days I was disconnected on the second month of each of the contracts? I thought the 30-day notice is only applicable if you want to disconnect the number entirely. Thanks for your comment. The annoying thing about 30-day SIM-only contracts is they normally require you to give 30-day notice of you ending the contract. Therefore, if you want to use the SIM card for only one month, you’ll actually need to call them on the day you start your contract (in other words, you’ll need to give them notice pretty much straight away you only want to use the SIM for one month). Typically, calling to obtain your PAC Code would be considered valid notice, so the mobile network can charge you a monthly fee up until 30 days after you obtain your PAC Code. 1) I believe Ofcom is investigating how fair these charges really are, so hopefully things may change sometime in the future. 2) If you only want to use a SIM card for one month, I’d probably recommend getting a Pay As You Go bundle instead. With PAYG bundles, there is no need to give any notice so you can easily use it for just 30 days and then throw away the SIM card. Also, taking SIM-only contracts and then cancelling them after one month is likely to affect your credit score in the short-term as well (as each application will leave a search on your credit file). Any way of cancelling contract based on continual ignored requests to stop spamming? After being with O2 for more than a decade l changed to Vodafone in September 2016. Biggest regret ever. Terrible customer service, charging for unrequested services and non stop spamming. Have sorted the billing problems however l have asked, told and demanded they stop spamming. They promise they will but days later new garbage appears in my phone messages. Can l leave the company as they haven’t kept to what they agreed to do and that l informed them that l would leave they didn’t agree to stop spamming and stick to it? Thanks for your comment. Unfortunately, I’m not a lawyer so I can’t advise you on whether this is a breach of contract (I recommend speaking to a qualified local lawyer on this instead). I’d also recommend making a formal complaint in writing to Vodafone. This should help to escalate the issue and of course, you’d then be able to discuss relevant compensation. hi im currently with vodafone. contract finishes in dec 17.
im currently very dissatisfied with them due to being charged for a sim i do not have. called them several times in regards to this and been told that they have sorted and once again been charged. im just tired of ringing being passed around from one to another. I currently have a mobile contract with Vodafone. However, due to a change of circumstances and, therefore, affordability, I need to do something to bring the costs down. Do you know if there are any other mobile companies out there who will take me on, be my provider and pay off my early termination fees? If not, I know Vodafone say there’s a usage cap on their website but it can’t be applied to my account. Should they be allowed to not cap my usage? Unfortunately, I’m not aware of any provider that is currently able to pay off an early termination fee. However, with regards to changes in affordability, I’d strongly recommend discussing this directly with Vodafone. They should have a team there that will specialise in helping you out and will discuss the possible options with regards to reducing your monthly phone bill. I am currently with vodaphone I was able to upgrade from 25/11/16 and my contract ends in February. I have been offered the following contract on a I Phone 7 – 128gb.. Unlimited calls and texts and 3gb of data and they are adding premium Spotify for the duration of the contract. They have said I don’t have to pay for the handset on the basis that I accept a phone that has been returned by a customer within the 30 days. Is this wise or should pay the extra for a new handset. Thanks for your comment. This is entirely up to you really & depends on whether you want to have a brand new handset. Essentially, you’re being offered a “refurbished” iPhone from Vodafone. If you don’t really mind, this saves you money upfront and possibly means you get better specifications for the same money. Personally, I’ve not had that much experience with refurbs as I’ve typically always bought handsets brand new. Thanks for your comment. I would strongly advise against cancelling your Direct Debit with O2, as they will simply try to recover this money from you another way. Instead, if you’d like to cancel your contract early, you can contact O2 to ask them to do this. They’ll typically charge you an early termination fee equivalent to the monthly subscription for the remaining months on your contract (so about 2x your normal monthly cost). You should never have to pay for a PAC Code: all mobile networks must offer it to you free of charge. However, if you’ve ended your contract before the minimum term, early exit fees will apply however you ended your contract (this would be regardless of whether you actually used your PAC Code). Thanks for setting up such a clear guide. I couldn’t figure out Three’s termination fees, despite digging through the same files you referenced. I had a contract with Vodaphone which I cancelled in 2005, due to bad reception. The cancellation was instructed verbally over the phone to customer services. Since that time the phone number has not been used at all, I no longer have the phone and was on a system they no longer use but Vodaphone has continued to take monthly payments from my account approx £900, without my knowledge. I should have been more diligent checking my statements but with other phone contracts in place that DD payment was overlooked. I have spoken to customer services over the past 4 days and spoken to 7 people who have who have been unhelpful. Vodaphone are denying that any instruction was received and as we did not cancel in writing they are prepared to offer £95 only in compensation which I have rejected. In 2005 was it possible to cancel by verbal instruction? If so is there anyway of proving it? And can they simply say they have no record of that instruction? I also cancelled via the 191 number, But still have another phone within contract so noticed Vodafone were still billing me two months later… after exhaustive calls and emails (where they claimed that cancelling does not count if you do not use a PAC code) they have cancelled the phone and given me a credit of just over £8 (against their overcharge of almost £30). Without a doubt they are a bunch of crooks and I would not recommend them to my worst enemies. I have the exact same issue with them .. how did you get it resolved? Hi Aly you can actually speak to your bank and request a direct debit indemnity, they should be able to refund you most if not all of the payments Vodafone have taken. You just need to tell them these payments were not authorised by you and the bank will refund the money immediately. I worked for Santander and this was the best resolution for unauthorised direct debits. Hope it helps. Hi Ken, I need urgent help and I’m so un-tech savvy! I have had an on going issue with vodafone for about 6 months now, unfortunately I don’t have anything in writing as I have always dealt with them by phone which has resulted in absolutely nothing despite all the promises. I’ll try and sum this up as best as I can. Earlier on this year (2016) I noticed that despite paying my bill there was a large outstanding balance that showed up only on my vodafone app and not on my account, when I called up to query this I was told it was outstanding charges on one of my contracts (I have 4) belonging to my mother, seeing as how she travelled to Europe a couple of months prior it made sense however I had already paid the extra charges on her bill and the outstanding balance was far too excessive for 4 days in Europe on top of what I had paid already. After my query this outstanding balance has now been added to my account. Through numerous phone calls I was able to get them to admit that it wasn’t actually charges that I had incurred and also my payment date had been changed without my knowledge or consent. Twice customer service actually went through all my bills since November 2015 to check whether what I owed and what I have paid balance out, twice it has been proven that it does. Since then I have been promised on 3 separate occasions that they will rectify the issue and get back to me and have even been told NOT to pay my bill until the issue is resolved. A few months later as of right now I’m overdue 2 months soon to be 3, my contracts have been cut off about 3 times and the outstanding balance is huge and incorrect! There is more but I just couldn’t bore you with 6 months worth of nonsense. I just want out of my contracts. 2 are up for renewal this year and the other 2 next year. Please help ASAP! I’ve been having trouble with Vodafone since March when they disconnected my mobile number for another number on my account, they charged me over £500 for the pivelage. They haven’t responded to my complaint letters, I finally got the £500 taken off my account a few weeks but still had four different people telling me I owed different amounts of money. I paid the bill that I thought it should be and my account now debt free but Vodafone are blocking my number up to twice a day. I don’t expect your problem to be sorted any time soon. You need to contact the ombudsman. I am signed up to a 24-Month contract with Vodafone, Ireland (Since Feb 2015). When i called in Nov 2015 to dispute a bill i had received i asked what my contract expiration date would be (i genuinley couldn’t remember when i had purchased the phone) , i was told it would be Feb 2016… I called again in Feb to find out exactly which day my contract would end and was told i was contracted with Vodafone until August 2016. I accepted that a mistake was made and said i would call back in Aug. Since then i have been having issues with my bill and have had to call Vodafone Customer care multiple times. During the most recent phone conversation i had, i was told my contract would not expire until Feb 2017. Now i understand that errors can be made, but i feel Vodafone should honor the information that i was given, on 2 separate occasions, however they are stating that they will NOT honor this, can i do anything about it? Hi’ I have been a Vodafone customer for many years and have had several problems. I cancelled my mother’s phone over a year ago and had to cancel it 3 more times before it was finally done. Didn’t get a full refund on tariff but after hours on the phone and in the shop, the shop said they would refund £50 as a goodwill gesture which will come off the next bill. The next saga was on a sim only contract and the tariff was reduced. The bill stayed the same. I rang them and was told this would be done whilst I was on the phone and to switch the phone on and off at midnight and the new tariff would be in force. This was done and the phone had no network coverage. It took 2 1/2 hours on live chat and various reasons were given as to why the phone did not work. For example the sim card did not exist. This had been put in at a Vodafone shop approximately a year ago. When I said I would cancel the problem was sorted immediately. On 25th August I took my son’s Samsung S6 in for repair. He had had the phone since December 20l5 but didn’t start using it until July 16th. He was really pleased with the phone and then the microphone developed a fault plus the back light didn’t work. When I rang the repair centre they stated that the phone had water damage so would have to go through his mobile phone insurance. My son has not got his phone wet but we were told water damage can occur from getting out of an air conditioned car into hot weather or taking the phone in the bathroom. This seems to be a cop out. They said this had occurred over a long period of time. I asked what a long period of time was as he had only been using his phone since 16th July and they could not give me an answer. We were not happy but agreed to pay the £50 excess and they said that they would ahead with the repairs. Approximately a week later I got an e mail telling me it was ready for collection. I went to collect the phone only to find out it had not been repaired. Lack of communication between the repair centre and the insurance. The shop apologised and said they would send it back to the repair centre and it would take 3 to 5 working days. We didn’t hear anything so on 23rd September I rang Vodafone and was told that the phone could not be repaired so they said they would send a new S6 but at present they were not in stock. They would contact us when they were in stock. My son wanted to upgrade his contract to a S7 and pay something up front and possibly increased monthly payment. They said he could not do this unless he paid off the rest of his contract. After hearing nothing I contacted them today and said he would accept an S6 when they were in stock. They were in stock but had omitted to inform me. The new Samsung S6 will arrive tomorrow but we had no choice of colour. What I really want to find out is if we buy out the contract can we legally keep the phone. I have read that after 6 months of the contract the phone is legally owned by us. Want I don’t know is does this change if a new phone has been supplied through an insurance claim. Not sure if you can help me here. I have emigrated to New Zealand but I still have just under a year to go on my UK mobile phone contract but have decided to pay the balance and am currently using the phone here in NZ. I feel the mobile company are really messing me about and I am having to keep my bank account in the UK open so they can eventually take the remaining balance out. What would happen if I just cancelled the direct debit? This is theoretical of course. Even if you were to cancel the Direct Debit, you’d still be liable to pay the charges on your contract. It’s worth asking your network as there might be an alternative way of paying as opposed to using a UK bank account e.g. you might be able to pay with a credit or debit card, or you might be able to set up a Direct Debit on your friend’s account (with their permission of course). Alternatively, you could pay it off in one go through an early termination fee. If you were to simply stop paying the charges without paying the early termination fee, it’s likely that your mobile network would pass your details on to a Debt Collection Agency. I signed up for a Vodafone contract in March 16. I have not had mobile data since April 13th, 2016. Despite hours on the phone and letters of complaint, they have still not sorted it. This week I got my PAC code and transferred to O2. My phone now works. I have to cancel and sort out the Vodafone side. They are chasing me for payment … I haven’t paid anything yet as they set up my direct debit wrong. I said I shouldn’t have to pay a termination fee as I have not had a sevice but they said I have to pay the remainder of my contract as as long as I have had phone and text then mobile data is just additional?? How can that be when you can pay varying amounts based on how much data you want. I have a text agreeing to recompense me for a SIM card that I had to purchase whilst on holiday in USA. I’ve also been charged for world traveller when it didn’t actually work! So stressful, I can’t get anywhere on the phone with explaining it anymore, too many variables of who owes who and they’re not interested. I am currently in a contract with ID Mobile for my son and 1 year into the contract my son has damaged his phone. I contact ID and they advise they cannot help. ID then change the mobile number without my knowing. I also can no longer get into my ID Mobile account on line. When I try to re-register the account, the app advises not a valid number. I contact ID and advise not able to get into my account and that the number has been changed without my consent. ID advise that it will take 3-5 days to investigate. In the meantime they ring me to advise that I can have another premium number, but my concern is not the number but the security of the account. 4 days in no reason back from ID on what has happened and ID seem incapable of ringing back on the number provided. Am I able to cancel the contract with them without me paying an early cancellation fee or will I be held liable. Sorry to hear about the problems you’re experiencing with iD Mobile. Any ideas how the phone number was changed on your account without consent? Was this a security failing on the part of iD Mobile? Either way, you’ll unfortunately need to resolve this problem directly with iD Mobile (essentially you can ask them for a penalty-free cancellation and then it’s just whether they decide to give one to you). I have a Samsung Galaxy S6 – 1 year old and in perfect condition. I have been given a new phone as part of my job so no longer need my Samsung. What are my options? I still have 1 year left on my current phone. Thanks for your comment. Unfortunately, as you’re tied in to a 24-month contract, there’s not much you’re able to do with regards to the contract. You can possibly cancel it early but you’ll still need to pay an early termination fee for the remaining 12 months. If you choose to do this, consider selling or recycling your Galaxy S6 to get some money which might cover your early termination fee. Alternatively, is there any other way you could utilise the contract? For instance, is there a trusted family member who might find it useful and who might be willing to pay the remainder of the contract? If so, you could amend the Direct Debit so the money is coming out of their bank account instead. Hello,i’ve got a contract with id mobile for 24 months. I’ve signed just over 30 days ago. I would like to cancel it. Will there be any charges? Contract is £5 a month and the phone price was only £65? Thanks for your comment. Unfortunately, there is likely to be an early termination fee as you’ve probably passed the cooling off period for your iD Mobile contract. For a definitive answer on how much it would cost to end your contract early, I’d recommend calling iD Mobile on 7777. Ok here is the deal, I made a contract with an s7 edge with Vodafone 3 days ago…I recently discovered something better somewhere else, is it possible to cancel the contract and return the phone without any early cancellation fees? Thanks for your comment. I think you’ll probably be covered by Vodafone’s 30-day guarantee: might be worth exploring that and seeing if you can return the handset. I am at my wits end with vodafone. Last year I became Red Leader for me, wife and sons phone. In the first 7 months of this new contract i required additional mobile data on a temporary basis after moving home (no wifi installation) i had to go on a higher tariff for the remainder of the 2 years to get this temporary fix of data. Later they cut off my wife’s phone. After an hour and half on the phone i found out it was due to me not paying a bill (even though i had direct debit set up). I was told that it was because they had changed system and my direct debit details had not transferred over – theres a lot more but i won’t bore you anymore. I have since written 3 letters of complaint all of which have been ignored, even though one was signed for. I have asked for a Deadlock Letter but its difficult as they say that have not received my complaint. I am now in the hands of the mediation department, or something ridiculous like that, who will be phoning me back. I have no confidence in Vodafone managing my account and if have concerns in the future being able to deal with them. I have asked to leave without fee but it is unlikely they will grant me this – what can i expect in terms of some sort of settlement? Reduced tariff or shall i progress to the Ombudsman? Steve, I am having exactly the same issues as you are having. I’ve also been ignored by Customer Services when I have asked for a Manager, the Resolution team were told that £20 compensation for cutting my three numbers off 3 times due to their mistake (Once leaving my 10 year old stranded in town) was not acceptable. I suggested a heavily discounted contract for my son for a year and was told no. we change this agreement to your material detriment. This includes (i) increasing charges in the UK (calculated before the addition of VAT or other levy) which has the effect of increasing your total charges (based on your usage in any of your last 3 bills) by more than 10% when compared with the charges 12 months prior to the increase; or (ii) changing or withdrawing services. We will tell you if this is the case. You need to write to us within one month of us telling you about the change, withdrawal or increase. This does not apply if this is a change to or withdrawal of third party services not included in your plan, which we and you can cancel (or stop using) without ending this agreement. Hi, I’m currently with Vodafone and have had problems with signal for months. After trying to get my issue resolved repeatedly and getting nowhere with little help there end. In the end I was told by an agent online I could have free cancelination. I’m now being told that this information was incorrect and trying to charge me over €700 to cancel. Where do I stand? Hi ken, you seem to know what your talking about, if a mobile phone company (vodafone) want to be paid for the contract i have with them, would you say that sucessfully taking a payment is something fundamental that vodafone should do? As under there contract i can cancel without any financial penalty to myself if this is the case, yet when ive comtacted them they refuse, what would you suggest be my next course of action. I should add ive made 2 payments that they didnt process, but when i spoke to my bank they said the payments were authorised and in holding waiting for vodafone to claim for 14 days before being returned to my avaliable balance. Hi there, I am looking for some advise on cancelling my Vodafone contract. The reason I want to cancel is that they haven’t been reliable and are messing me around. I was first in touch with Vodafone on the 11th march in order to transfer ownership of the account. Everything was done correctly and was told it would be done automatically in 7 days. I waited the 7 days (and a few) i got back in touch and was told there was a glitch and the transfer didn’t go through and would have to wait another 7 days. I waited the amount of time they said, got back in touch and was told it had still not been done. At this point I told them I am not happy to wait another 7 days and wanted it done ASAP, I was told it would be done within 48 hours, which it was NOT. I have further been in touch with Vodafone to be told that the transfer would be done on the 6th April. I notified Vodafone that if the transfer was not done at this time I would be ringing to cancel my contract. I haven’t been notified that the transfer has taken place and I think it still hasn’t. I no longer want anything to do with Vodafone if this is the case as I have nearly waited a month for this to be done. My contract isn’t up until March 2017, I am just wondering if i would have to pay fees to cancel. My argument is that Vodafone has not given the service that they should have, that is being paid for each month. If you could help in any way that would be great. Hi Ken, I’m in a contract with Vodafone and included is an Entertainment Pack (Spotify Premium) which is supposed to be free. They repeatedly charge me for this service each month and every time I contact them to bring it up they just say “yes sorry we’ll sort it for next time”, then by the time the next bill comes through I’ve been charged again and nothing gets sorted! Is this a breach of contract? I’m getting fed up with it and would rather just leave the contract now. Any advice would be much appreciated, many thanks in advance! Thanks for your comment. Unfortunately, I can’t provide any legal advice – I would however recommend you make a formal complaint here in writing to Vodafone. This should help to escalate the issue and will hopefully get it resolved more quickly. Thanks for your assistance Ken much appreciated. Did you hear back from Vodafone about this? I am having the exact same issue and have had enough and want to leave, they tell me the same thing every month and nothing ever happens. I have currently had no service for the past 48 hours with Vodafone, they admit it is an issue on their side but I can’t see any signs of a resolution soon and really need my handset working for work purposes. Where do I stand? Can I cancel early for free? What options do I have? Thanks for your comment. Unfortunately, I don’t think you’re entitled to a free cancellation, but it is always worth asking in case one might be granted. I recommend you make an official complaint in writing in Vodafone and see what they come back with in regards to your question. I rang up vodafone about my early upgrade fee an advisor informed me i could upgrade that day with no charge I followed this up the day after to find that this was false information, and thwt my upgrade date is september. I’ve been in dispute with vodafone as I’m lead to believe that they have to warrant me this upgrade, they have listened to the recording of the advisor telling me incorrect information, but said they won’t warrant this upgrade. Surely by law they should have too? My grandad has been with 3 for many years now, despite us telling him every year not to renew his contract with them. For the past two weeks he has had no service on his mobile phone. He relies heavily on it as he does not have a landline or wifi in his home. He wants to opt out of his contract without having to pay a fee as he has had issues like this for years and there must be some kind of contract breach as he has been without signal for such a long period of time. 3 will not accept his argument so is there anything else we can do? Thanks for your comment. Unfortunately, I don’t think Three has breached their contract. For this reason, it’s probably unlikely they’ll grant you an fee-free exit (instead, they’ll probably suggest you use something like the inTouch application to make and receive phone calls). Saying this, it’s probably worth making an official complaint anyway, as they might decide to offer you some kind of discount. Thanks for your comment. If your contract is £21/month and there are 3 months remaining until the end, then your early termination fee will normally be somewhere in the region of 3 x £21 = £63. Let me know if something doesn’t make sense? Thanks for your comment. The best thing to do is to contact Vodafone customer services on 191. If you’re upgrading to a new plan on their network, they might choose to waive your early termination fee. I phoned Vodafone in January and told them I wanted the buy out my contract. The agreement was due to end in March and they gave me a figure of £28 to cancel the contract. I went ahead and told them I wanted to leave and got a code to take my number with me. However today I got a text saying my next bill is £93.18. I spoke to them and they said they will re-calculate the bill and I will receive another text when it is done. I can’t understand why it would cost £93.18 to end terminate a contract early — in January — that was due in March?? I am with Vodafone too. Had my phone 2 months and I want to cancel my contact due to having more important things to pay and my phone bill is always higher then expected yet I never go over on texts data or calls? I had a 2 year contract with EE, it ran out and I extended it for 12 months sim only. Now have 7 weeks to run and EE want to charge me the full amount to exit early. No cost to them, phone paid for under original contract. Doesn’t seem fair, can they do it? Thanks for your comment. They should only be charging you an early termination fee based on the remaining number of months. It might be worth asking them to provide you with a breakdown of the calculations? I’m with Tesco and have 11/12 months left in my contract and as an upgrade got quoted 209. However I have had numerous problems with them and handsets. With the contract I took out an HTC One m8 even though my phone said I had full signal and 4g I wasn’t receiving calls or texts etc so thy replaced the handset with an m9 that will never reach 100% charge. It had said that it will take 13 hrs from 20% to 100 the one time. Where do you think I stand? Thanks for your comment. I’m not quite sure why you received such a large termination fee from Vodafone. Did they give you any kind of breakdown on how the charges were calculated? Ending your contract 4 days early should only give you a fairly small charge (typically less than £5). Thank you Ken for your reply. They have not given any breakdown. I cannot access online as I have closed the account. Over the telephone takes a long time. Just cant solve the problem. What would happen if I close the direct debit so that they don’t take the money and will come back to us? Unfortunately, the only way of getting an explanation will probably be over the phone from Vodafone. Sorry I can’t be of any more help, as you can imagine, this is an account-specific querie! With regards to payment, I’d highly recommend against cancelling your Direct Debit instruction. All this is likely to achieve is a late payment demand from Vodafone along with possible implications to your credit score, etc. This is really something that’s best resolved directly with Vodafone. I just wonder how they sorted out this for you. I got a same issue with Vodafone. I had 24 months contract with vodafone. I terminated 5 days early. They have charged me £78.58. I called vodafone twice and they accepted this was wrong. However, I got a call today to ask me to pay £78.58 again! They sold me a faulty phone, then said I couldn’t have a replacement so it was sent away for repair. Now it’s come back & it’s locked to Vodafone & it can’t be unlocked. This has taken TWO MONTHS just to get this far & I still don’t have a phone to use! As I do not want to go with a Vodafone sim. Also I cancelled my old Vodafone contract back in August 2015. They did not cancel it, I was sent a bill in September. I then cancelled it AGAIN & was told it was done. It was not done, I received another bill in December. I cancelled it AGAIN. I got another bill & a letter from the DEBT COLLECTORS in January which is when I said ENOUGH. I cancelled it again & all of the unpaid bills that I apparently owed were scrapped. It’s just one thing after another with Vodafone. The customer service is terrible. They just pass you from one person to the next without passing along any information so you end up repeating yourself over & over. All Vodafone care about it money. As long as they’re making money, nothing matters to them. Now my only options left are to either just use a Vodafone sim in the faulty phone they sold me or to sell / bin the phone! But then I will be losing £75 for the phone & also the extra money I spent to unlock it. My one last option would be to take them to court. I don’t particularly want to do that but if it comes to it then so be it. Wish I had never used Vodafone. Really hope yours gets sorted. vodafone are a disgrace. question everything they do. they’re terminating my contract after 9 months after account in disrepair and have the cheek to say there will BE DISCONNECTION FEE TO ME!!! DO NOT TRUST EM, WORST PHONE COMPANY CUSTOMER SERVICE EVER..
Gosh, so interesting to see this forum. I too like many, are having problems with Vodafone on various levels over the last year. Too many to bore you with, but now leaving them. I would agree with you all VODAFONE is just so poor in maintaining customers. More than ten years as a business customer, but shocking to read all this and relate to my own experiences. Good luck all. Not sure if the other providers are better but if your at the bottom of the ladder there can only be one way…up! I have just completed a 24 month contract with Three for tarrif and phone. I contacted them to change my contract to a “sim only” package as I was happy to keep using my existing phone. I was quoted some prices of different tarriffs and decided on a package for me. However, after about 4 or 5 days I decided that I could get a much better deal, with a new phone included, so phoned Three to cancel this new contract andtold them that I would be looking into a different package with phone but wanted a bit of time to shop around. Hi might be veering off the subject slightly but hope you can help. I rang vodafone to cancel my contract in august for a better deal. Ended up getting talked into staying with them for same deal and free handset. Then received invoices through post of £150 for cost of handset. Called straight away and was reassured this would not come out of my bank and was their mistake. I have been chasing a refund almost weekly since September and have still not had a refund. Each time I speak to someone they blame previous person for filling something in wrong. I have logged an official complaint with them. Code of practice states they will deal with complaints within 5 days and keep customers updated. Not once have they called me. I’m getting to end of my tether and don’t know what to do. Is there any way I can get out of my contract? In my eyes they have breached the contract I entered into with them. Hi ken, my boyfriend recently got a contract in my name and bank due to to credit scores. he now cant afford the contract anymore, he got the iphone 6 £65 a month for 24 months, this will be the 3rd month of the contract, I cannot afford to pay it either, nor the £1365 termination fee. what should I do? what exactly happens if I just stop paying it, what will the collection agencies do? thanks in advance! So sorry to hear about the situation. Unfortunately, I can’t give you any detailed advice about this – your best bet would probably be to contact the Citizens Advice Bureau. I just got home and received a bill statement regarding the three mobile wi-fi which I was told was a “free gift” when I signed up with a 24 months contract with three. I do not need the gadget as I already purchased an all-you-can eat data plan. I do not wish to be paying an additional 9 pounds monthly over my already expensive plan. I need advise on how to cancel or revert this part of my plan package. Thanks for your comment. In the first instance, I’d strongly recommend calling Three Customer Services on 333 to talk about this (you should explain that it wasn’t quite clear there’d be an additional charge for this mobile wi-fi service). This happened to me as well. I was not aware that I have to pay an extra for mobile wifi until I received a bill from them as I was told this was a free gift from them . I called 3 to cancel the mobile wifi but there are not agreeing with me ! I have’nt even opened the device from package . How did you solve this problem … Suggestions? Hi have just received an £85 bill from vodafone for calls I never made! Terrible company, awful! I upgraded my phone contract on 5th Nov £44 a month (I actually pay £35 with a discount). I have not been able to receive incoming calls since I changed over (2 weeks ago!). I have made several calls to Vodafone to try and resolve this and so far nothing – They sent me a new SIM to try and it doesn’t work either. I have no idea what I can do next as when I call them it is a different person every time – I am at the end of my tether with it all. Where do I stand with regards to cancellation/complaining? cost etc? If I cancel can I take my number with me etc? As part of my deal – I didn’t pay for the handset as I agreed to send them my old phone as exchange (£130). I have had the worst experience with Vodafone. Firstly Vodafone have messed up my bundle on my contract leaving me without data for a whole month so no internet access whatsoever. After countless phone calls and live chats nothing happened no one wanted to help. I was told I would have to pay for a replacement sim which I begrudgingly agreed to. Four days later no sim, called and Vodafone informed me they cancelled the sim order. No help useless staff and many hours of waiting on hold or speaking to staff that did not want to help has left me thinking I hate Vodafone and want to leave. Has Vodafone breached the contract? Who do I speak to? Sorry to hear about all the problems you’re experiencing on Vodafone. In the first case, I would make a formal written complaint here to Vodafone. This will escalate the issue and you should be given someone who manages the complaint. From there, you can discuss the possible options with regards to your account. Hi I’ve just phoned three and cancelled my contract 13 months early and are charging me nearly £400 but problem is I’ve only cancelled because I haven’t had service for the past 2 months. Every week I phone and every week they tell me the same there’s a problem with one of the masts. So after 8 weeks of not being able to make or receive calls I have cancelled my contract. Can you tell me where I stand or who I need to contact about not paying the fee as three didn’t seem to understand as why I shouldn’t be charged!!!?? For #2, you would probably need to consult a lawyer or the Citizens Advice Bureau for advice with the contract. Sorry I couldn’t be more helpful here! Im having the same as problem. What did you do in the end? I am no way Paying a fee for no fault of mine . Greedy suckers! I’ve had loads of bother with Vodafone and they’ve agreed to cancel my contract without any termination charges, however they will be sending a courier to pick up the phones and simple cards. We have approx a year left til the end of the contract. Because we’ve already paid for a year should we be getting a partial refund as we’ve paid for part of the phone? Or is the phone their property as we never finished paying the contract? Thanks in advance. Thanks for your comment. I’m not quite sure what your exact arrangement with Vodafone is (e.g. are they simply putting an end to your contract without any termination fees?). Typically, the phone is actually your property as soon as you get it so there shouldn’t be any need to return it to Vodafone. Saying that, I’m not aware of the exact details of your cancellation (it might be, for instance, they’re cancelling your contract and you returning the phone acts as a psuedo early termination fee). My 3 contract expires on 27/10/2015, I informed them I wish to cancel on 21/10/15. On the same day I have taken out a contract with Vodafone and provided them with my PAC (although my number is yet to change). I’ve had second thoughts and wish to cancel Vodafone within the 14 day cooling off period and remain with 3. Having just spoken to 3 they said I can cancel my cancellation and upgrade with them. If/once my PAC updates with Vodafone will this cancel my 3 contract and if it happens before the 27/10 will I incur an early termination? Thanks for your comment. My advise would be to call Vodafone as quickly as you can and to make sure the phone number isn’t ported in. As long as the PAC Code isn’t actioned by Vodafone, your account on Three will remain open as before and you shouldn’t incur any early termination fees. Hi Ken can u help I’m terminating contract with Vodafone. there is 19months left. my ex has could me it is gonna cost me £896 to sort out, is this right or is she trying to rip me off ? Thanks for your comment. If you want an official & authoritative answer, I recommend calling Vodafone directly to get the details of how they calculated the charges. I can however give you a rough calculation: if your contract is around £47/month with 19 months remaining, then you can expect to pay £893 as an early termination fee. Vodafone agent kept calling me to take up contract for over two month because I was on “pay as you go” until I gave in. I told them I can only take contract of Samsung Galaxy s6 edge which goes at £44 monthly pay and they told me they could not give me my choice because it was out of stock and two my credit record was short. I told them I don’t like iPhone but they continued to persuade me and kept fowarding my conversation to the managers. After accepting, they first brought for me used iPhone 6 without the charger and the headphone and I had to complain and they replaced. Now what hurts me most are the functionality of the iPhone, it does not satisfy my interest and I had clearly told them I do not like iPhone. Further more Samsung Galaxy s6 edge goes at £44 per month and they are charging me £45.5 per month and extra £ 5 monthly to activate international calls and charge the international calls seperetely. I am stressed up and I would like to terminate the contract. Help me how to go about this, because I do not want to pay any money because they have messed me up. Thanks for your comment. How long have you had the iPhone from Vodafone? If it’s less than 14 days, you have the right to cancel your contract and return the device. See this page on the Vodafone website for more information. If you’d had it for more than 14 days, your only option is probably to make a complaint against mis-selling. You can lodge a complaint by following the instructions here. I am lodging up a complaint following this vital peace of advise you have given me. Just some advice for a friend. Her contract with Vodafone is up, as of the 15th October. She doesn’t plan on staying with them, due to network coverage. She is now with another network. She phoned them, 30 days prior to her contract ending, to stay she wouldn’t be renewing. Which Vodafone t&c’s intructed her to do, if she wasn’t planning on staying. She said the man on the phone, was very helpful, gave her a pac number etc However, she has received in the post, a bill for £60 for early termination fee? Any idea as to why this is, as her contracted is now ended? Thanks for your comment. Without knowing all of the details, unfortunately I wouldn’t be able to tell you how the bill is calculated. The best thing for her to do is to give Vodafone a call on 191: they should explain how the charges are calculated. You can then query the charges, if it might be applicable. Thanks for answering. It was a bit of a confusing message. She has tried to ring Vodafone, it took her 40 mins to get through, then they cut her off! I think she is going o go to a Vodafone store. Hopefully she’ll get it sorted out. Hi I like to know If i have paid off early termination fee should vodafone network by law unlock my iPhone for free ? Thanks for your comment. Unfortunately, in the UK, there’s no legal requirement for your mobile network to unlock your handset. For more information, I recommend having a look at my in-depth article on unlocking your iPhone. Great website! I found it today while looking for information on Vodafone early termination fee. My contract with them ends 23rd of this month, but I spoke to them several times about upgrades and leavibg but never told of any fee…. I found a better deal on o2 so requested a PAC code from them which activated last week. Today, an invoice, just an invoice comes through my door for £196!!! Marked as early termination fee. My monthly contract was 21.50 a month. Just speaking to them on live chat they said I won’t have to pay this and my final bill in a few weeks will correct this. Have you heard of this happening, and is this really how they conduct their business by sending out such invoices prior to final bills? I’m afraid they are going to debit this out of my account shortly, and I can’t figure out how they got to this figure!! Thanks for your comment. Likewise, I’m really confused on how Vodafone came to this figure (the £196 early termination fee equates to approximately 9 months usage). As you’ve done already, it’s worth following this up with the billing team and getting the statements they make down in writing. I have a Vodafone hub. All I use it for is my Internet shopping. But in the last year it has let me down 3 times.I have had the hub changed but again it is not working.It broke down in June, August and again now.I asked to cancel but they want to charge me a fee as the contract does not end till next year.But it is not working and not fit for purpos why should I pay for something that is not working .They are taking payment and I don’t have any Internet service. Thanks for your comment. Could you please clarify which product you currently have from Vodafone? I assume this is mobile broadband or is it something else? My contract with Three ends on the 15/11/2015. They require 30 days notice so today I rang them on 333 to tell them I would be leaving. They send me a PAC text today (13/10/2015) which expires after 30 days, so it will expire on the 11/11/2015 – 4 days before my contract ends. I wish to change network but keep my number, so how should I go about doing so with the above information? I do not wish to pay a contract cancellation fee. Thanks for your comment. You’ll need to continue paying your contract with Three until the 15th November 2015. If you’d like to minimise the overlap between your old and new contracts, you could take out the new contract in early November. You can then move the number over in the middle of November (e.g. about one week before your PAC Code expires). If you like, you can try and time it to minimise the overlap even more – typically I wouldn’t recommend this as you’ll want to make sure that the new contract & phone are working as intended. Hi, I’m wondering if you can help. I’ve been with 3 mobile since April 2013 and my 24 month contract ran out in April 2015. I have just left them to go to EE and then I have received a bill which says I have been charged an early termination fee which I didn’t think they could do as my contract actually ended in April but I kept it rolling until I found a deal that I was happy with and then obviously used a PAC code to take the number with me. Is what they have done even legal? Thanks for your comment. How much have Three charged you for ending your contract early? They may have charged you up to 30 days line rental, as you typically need to give 30 days notice when closing an account. If they’ve charged you more than one months line rental, it’s possible your contract was inadvertently renewed (they’ll sometimes offer a discount if you agree to renew your contract for a number of months). You can dispute this with Three if you don’t believe the calculations are correct. The early termination fee should be calculated as per the formula in the article above. Hence, if you have a £26/month contract, you can expect to pay an early termination fee of about £290. For a £35/month contract, the early termination fee will be closer to £390. It’s worth performing the calculations yourself so you can go to Vodafone and inform them what you think the charges should actually be. Thanks for your comment. Unfortunately, due to the nature of contracts, it’s difficult to end it early without paying a massive charge. By January, you’ll have about 15 months remaining on your contract. This means they will probably charge you in the region of £840 to end each of the contracts (possibly with a small discount for VAT, etc). You can offset this by selling or recycling your Galaxy S6 Edge (it’s currently worth about £260 in cash). Sorry – I don’t think this is particularly helpful, but there isn’t really an easy way out of the contract. If you like, it might be worth making a quick call to Vodafone Customer Services (191) as they might be able to arrange something better. Sorry to hear about the situation with Vodafone. Unfortunately, this isn’t something I’d be able to condone. You’re probably best off checking with a lawyer or the Citizens Advice Bureau for more information about this. Sorry I couldn’t be of any more help. I believe they simply put it on your last bill (this will be paid by Direct Debit or whichever payment method you normally use). I’m not sure they’ll allow you to pay bills in store though you could always check if you want a definitive answer. It’s always good practice to leave your Direct Debit active – that way, they’ll be able to take money for the final bill and anything else that’s owed to them. If they do take any money in error, you can simply reclaim it with the Direct Debit Guarantee. If you like, you could wait a couple of months before cancelling the Direct Debit (alternatively, you can wait for your bank to cancel it automatically). I’ve been with Vodafone for several years and my rolling contract is Pay Monthly by Direct Debit. The handsets have always been my own so I’m just paying for calls and texts. Over the years a lot of phones have died-off but the phone I like best and which I’m still using, is a Samsung GT-E1150i flip phone which is quite small and surprisingly robust. Recently the phone became faulty. It would work OK as a phone and it would receive texts but it would not send texts. There was also a text saying that my account settings had been changed but if I had not asked for the change dial 191. I did this and Vodafone said that it might be the SIM. Personally I think that someone had hacked my account and disabled the sending of texts. (later the phone said Emergency Calls Only) Anyhow the new SIM with the same phone number got the phone working OK but there are two snags (1) Most of my stored phone numbers have been lost. (2) I have been billed £2.50 for the post and packing of the replacement SIM. It would have been cheaper to just bin the old SIM and start again with a new phone service provider so I’m extremely vexed. Possibly a phone with more memory could store all my numbers without using SIM memory and this is what I’d like to do now. I’m also looking for a new phone service provider. Thanks for your comment. The best way of thinking about a PAC Code is like a password for taking control of your phone number. Your phone number will be associated with a PAC Code: your new network needs this code before they’re able to take control of your phone number. On a contrary, a PAC Code isn’t unique to one number. Hence, both you and I could be given the same PAC Code (just like we could both use ‘hello123’ as the password for our e-mail account). You must call Vodafone to get a PAC Code added to your account. In practice, they normally give a different PAC Code to each person (this ensures the security of your phone number). I am looking at upgrading early on my EE mobile contract. My contract is supposed to cancel on the 21st September and currently pay £39 per month. I have quickly checked online and said I will be in for an early upgrade deal. I know there will be charges involved, however I was wondering if I sell my old phone back to them would that be able to cover the costs of these fees? This would be a great help to me if I could? Thanks for your comment and sorry for the delay in getting back to you. The handset on the old contract is your property so you’re more than welcome to do what you want with it! EE does have a phone trade-in scheme where you can get money back for your old handset. You could also choose the sell the phone on eBay or you could recycle it through the many other services out there (instead of going straight to EE, it’s always worth shopping around to get the most for your old handset). so basically, iv got an iphone 4s on contract with three. i pay £37 a month(including guarantee) and without £28 a month. i want to cancel my contract early as i have 9 months left and wanna buy an iphone 6 from carphone warehouse. i just wanted to know how much they’l take from me? Thanks for your comment. The exact termination fee you’ll pay depends on your contract and the terms you agreed to. I recommend giving Three Customer Services a quick call on 333 – they should be able to give you a quote to end the contract early. I swear I’m making this harder than it is. My 24 month contract ends 26th May, as I want to leave my current provider, Vodafone and move to EE, am I right in thinking I can just wait till 26th and cancel without incurring any charge? Then acquire the PAC code and get EE to do the rest? Thanks for your comment. I recommend getting your PAC Code from Vodafone as quickly as possible and letting them know you want to move to EE. The reasoning behind this is they typically require 30 days notice for you to end your contract. Hence, they’re able to charge you for an extra 30 days from when you give the notice to leave. With regards to the rest of your question, you can wait until the 26th May to give your PAC Code to EE: they’ll automatically handle everything else for you. Is there anyway I can a 24 month contract of mobile broadband if I was under 18 when I signed up. I have been paying for the service for almost a year now. Thanks for your comment. Unfortunately, I wouldn’t be able to advise you on this issue: you’re probably best off either contacting Citizens Advice Bureau or contacting your mobile network directly over the phone. Thanks for your e-mail. In the first instance, you should contact EE to enquire about the bill (there might be something weird about how they calculate or output their bills). If the problem isn’t resolved to your satisfaction, as a last resort, you can lodge a complaint in writing with EE. Thanks Ken, what in your view is the correct way to terminate the contract if you just wish not to continue at the end of the 24months? The correct way to end a contract is pretty much as you described – it’s just a little weird how EE have worked out the charges. I’d certainly get in touch to find out how they’ve calculated it e.g. are they due to pay you a credit/refund after the last bill or were the charges worked out incorrectly on your bill? FYI I spoke to one of their accounts team last night and he tried to explain it to me. It is very weird how they work out the charges. My bill date is the 18th of the month. My 24 month contract expires on the 15th of May. So on April 18th, I had a bill of approx £130, made up of my normal £90 odd per month (line rental/charges/contribution to cost of devices) and an additional £37 for an early termination penalty. -> given I pay in advance for line rental, I have paid through till the 18th May so should see a pro-rata refund for the 3 days from end of contract date of 15th May. So I should only see a credit in the next bill of probably about £40 minus any call/data charges that I’ve made. That’s my expectation and I guess I can only wait and see!! Does this meet with your undersatnding of their weird approach to this? They basically confirmed I had approached this the right way. The only area to be careful with now is using the PAC code before the last point as that would constitute a termination of the contract and if before the 15th May, my guess is they would charge an early termination fee. It’s a shame that this all has to be so complicated!! Agreed, it’s definitely very complicated… thanks for outlining to me how the calculation works! I suspect it’s easier for them to overcharge you at the start and then to refund appropriately (this is probably in case you cancel the Direct Debit agreement, etc). Anyway, I think the sums should add up when you get the final bill though it’s worth checking closely to make sure this is the case. With regards to the early termination fee, I wouldn’t worry too much about the date you use the PAC Code. You’ll be charged until 30 days after you give notice to EE (the total amount should roughly be the same whenever your phone number is moved over to another network). For example, if you were to use the PAC Code 10 days later, you’d be charged for 10 days of service plus 20 days early termination fee. If you were to use the PAC Code 15 days later, you’d be charged for 15 days service plus 15 days early termination fee. I would personally avoid timing the transfer too close to the end of your contract (just in case something goes wrong and the number transfer isn’t processed in time). Hi Ken thank you so much for the info . You can make a written complaint to Three through this form on their website. Alternatively, if you want to send your complaint through the post, their address is: Three Customer Complaints, Hutchison 3G UK Ltd., PO Box 333, Glasgow, G2 9AG. You can find their complaints code here. Wishing you all the best in getting the issue resolved. I’m having to go down the same route with Vodafone. 15 year customer, 6 months with poor reception due to mast / engineering work, doesn’t work at home or work (and many places in between). Pathetic responses from Vodafone so called Customer Service. Changed to BT / EE today! Waiting for the fight on their claim for cancellation charges! Bring it on! Ken, you’re a bit of an apologist for the mobile phone companies, aren’t you? In respect of early termination charges, why make no references to unfair contract terms, the unfair terms in consumer contracts regulations, and the more recent consumer contracts regulations. There are reasonableness tests that have to be applied to early termination charges and the facts of individual cases have to be taken into consideration. Your “moral” considerations have no place in this – the charge is either lawful or it isn’t, and only a court can determine that – the mobile phone companies have no morals at all, and their customer relations people put arguments to customers that would simply be laughed at in court. Thanks for your comment. As your contract with Three ends on the 6th April, you’ll need to pay for the contract until that date at least. Meanwhile, you’re already paying the contract with EE so you’ll paying both contracts for the month ahead. For this reason, it probably doesn’t make any difference whether you transfer the number now or transfer it later. I recommend asking for your PAC Code immediately and take a couple of days to try out the phone on EE (you’re still able to return or replace it fairly easily before you transfer the phone number). Once you’re happy with everything on EE, you can then use the PAC Code to move your number over. I upgraded T-mobile to EE (24 months) with phone on 04/02/2015. Four days later, I go back to the store where I took the phone to cancel the upgrade because of coverage issues and they refused to accept the cancellation. They told me I can cancel the contract. I contact direct to the customer service (150), they told me to go back to the store. Which I did twice already. Two weeks my job was calling EE and going to their store. I read for them this they still refuse to cancel. This is the worst company I ever came across (EE). I need advise what to do please. Sorry to hear about the problems dealing with EE 🙁 Given they’ve been sending you back and forth for more than two weeks, I would recommend making a formal complaint here. EE should assign you a specific person to take ownership of the matter and this will hopefully expedite solution of the problem. Lost my phone on contract will i still have to pay for the contract. Very sorry to hear about the loss 🙁 Unfortunately, the answer is yes… you’re still tied in to the rest of the contract even though you’ve lost your handset. Do you have insurance on which you can claim a new handset? If not, it’s likely you’ll need to buy either a SIM-free or Pay As You Go handset to continue using the contract. Hello, I have a monthly subscription from Vodafone since last November and unfortunately I have to relocate to another country. What should I do with it ? I can’t afford to pay an early fee…I will not be getting back in Uk. As mentioned above, unfortunately there’s no way of getting around the early termination fee. The cost of your contract essentially includes the cost of the handset spread out over 24 monthly payments. In order to pay off the rest of the contract, many people choose to sell or recycle their old handset. Especially with a handset that’s only 3 months old, you should hopefully be able to get a fairly good price. You can also talk to Vodafone to see if there are any other options (e.g. they might offer you a cut-price deal or you might be able to transfer your contract to another person). Kazz, I am in a similar situation. I am also not planning on returning to the UK. I’m with EE and they have quoted £115 to cancel the rest of my contract. I can’t stand EE, the customer service is awful and am tempted to just cut my losses and leave without paying it. Any thoughts on this? Repercussions? Are they really going to chase up a debt of £100? Thanks for your comment. My personal recommendation is still to pay off the contract with EE. As mentioned above, the cost of your handset is actually split up over 24 months and included within the monthly cost of your contract. For EE, it’s a fairly opaque process but on tariffs such as O2 Refresh the airtime/handset split is much more clear. From a moral standpoint, simply leaving the country without paying the contact off is akin to leaving the country with outstanding debts on your credit card. Recycling or selling your handset is often a possible option for paying the handset off (especially if you’re going to get a new contract/handset in the country you’re moving to). With regards to the real-world repercussions, perhaps other readers can share some experiences of this matter? Thanks for the reply. Yes I appreciate it’s the right thing to do, but it’s only a SIM contract, I bought the handset myself. Just wondering what would actually happen if I don’t pay it. Seems to me like small change for them…. My 24 month contract with Vodafone ends later this month but I’m not in England at the moment and I need to end it…what do I do? Thanks for your comment. Are you looking to continue the contract after the 24 months are up or were you planning to end the contract and to move to another network? If you aren’t actually planning to end the contract immediately, you don’t need to take any action (the contract will simply continue on a one-month rolling basis). If you wanted to end the contract, you can schedule this with your network in advance. However, you’ll need to be in the UK if you’re transferring the phone number over to another network (at least, on the day of the transfer). Urgent advise needed currently 36 days into a 24 month contract with Vodafone and I am unable to recieve/send texts, recieve calls but I can make calls and use the data allowance. Contacted Vodafone and currently topping up 7 hours of wasted time they don’t know what the issue is but are looking into it, offering me a pay as you go sim that they will reimburse me for after (with a temporary number which I don’t want to even use so will not accept that offer). They say there is no other solution but to wait until this issue is resolved with no current deadline. I’ve tried to askin cancel my contract as I am very unhappy however they want me to pay an early termination fee of £1000+ due to how old the contract is. They offer reimbursement for the days I’m without and service and say I will also recieve compensation for the issue however I’m not happy. My case is now under internal investigation with Vodafone due to information provided to me that has been misleading and incorrect. Is there anyway I can get out of this contract early without the termination fee as surely there breaching the terms and conditions of the agreement not me?? Sorry to hear about your problems with Vodafone. My only recommendation, if you aren’t able to resolve the problem with Vodafone directly, is to forward your complaint to Ombudsman Services Communications (see the Vodafone UK code of practice for more information). Apart from this, you should continue making the complaint with Vodafone (keep detailed records of everything they’ve promised and of all the disruption you’ve incurred to your service). I really wish I could help more in this situation but unfortunately there’s very little I’m able to do. Unfortunately, I changed my contract to EE & have experienced non stop problems with their poor customer care/service! I was upgraded to an iPhone & iPad, however I’m unable to keep up with their constant charges (£80 Monthly approx!). When I called them & explained my poor financial situation they responded with telling me that as a result of NOT paying (as I was struggling to pay £80/month) they would INCREASE my contract by a further SIX months!! Ridiculous! So furious-I asked to end my contract & now sent a bill of £858!! I have attached this amount :(( to my Debt Management Comp, but am NOT happy, is there someone who can help with info, possible overall settlement balance?? As can NOT afford to pay that…pls respond/EE management?? I’m very sorry to hear about your current situation. I won’t be able to offer you any detailed advice but it’s worth having a look at this Money Saving Expert guide as well as the advice offered by Citizens Advice Bureau. They’ll outline your rights in this situation and the steps you’ll need to take to resolve the situation. I renewed my Orange 36 month contract in Nov 2013, due to expire Nov 2016. I understand that these three year contracts were outlawed by the EU in May 2014. Do you know if that means I would be allowed to come out of contract without penalty now, or am I required to see it through to the end? Thanks for your comment. Orange previously offered 36-month contracts from the 1st June 2009 and continued to do so until it was outlawed on the 26th May 2011. I’m therefore a little surprised they allowed you to renew for another 36 months in November 2013. That said, having had a look at the guidance from Ofcom, the restriction only applies to “new phone or broadband contracts” starting from May 2011. As yours was a renewal of an existing contract rather than a totally new contract, I don’t believe the legislation will apply in your case. That said, I’m not a lawyer and it’s always worth checking with Orange Customer Services to see whether they’ll charge you to end the contract early. Thanks for your comment. Have you logged in to your EE Customer Area to find out where the £30/month of extra charges might be coming from? It sounds to me that controlling these charges will be the best thing to do going forward from here. If you wanted to switch over from Pay Monthly to Pay As You Go, you’d have to pay an early termination fee equivalent to £30/month multiplied by the number of months remaining on your contract. You would then be able to switch to a Pay As You Go tariff. Hi im on t mobile and my contract ends in march I was just wondering if I will get charged for cancelling early as my bills are supposed to be 33 pounds a month and I’ve been paying 70 pounds and sometimes more as I keep going over my limit. If you’re cancelling your contract early, you’ll only be charged for the basic monthly fee (that’s £33/month multiplied by the number of months you cancel your contract early). There’s a small discount (listed above) but you can roughly expect to pay £66 if you cancel your contract now rather than in March. hi I recently called Vodafone to cancel my contract which runs out on 14th January this year so I gave 30days notice on 15th December I got my pac code on 15th December and this was transferred to my new mobile on 19th December. I knew I was due one last bill from Vodafone for £30.50 on 30th december. but on the 30th December I revieved a letter from Vodafone demanding a cancelation fee of £505.25p the letter was dated 19th December I was actually very lucky to get a stop on this being taken out of my bank on 31st December. I have now cancelled my direct debit until they look into this after I spent over an hour on 31st December being transferred from department to department with not very much joy. i believe i gave the correct notice so not to breach my contract and even i did breach my contract it was only by one month. i am lucky enough to have the original receipt from when i previously had an early upgrade on 31/10/12 what concerns me with Vodafone is their customer service is terrible and i am worried they will just send the balliffs round regardless. Sorry to hear about your problems with Vodafone. It does seem rather odd to me they’ve sent you a large bill for terminating your contract early: there certainly shouldn’t be such a large bill with only one month remaining on your contract (they should only charge you a termination fee based on the number of months remaining on your contract). I’m afraid there isn’t much advice I can give you on this issue but to get a written letter & explanation about why Vodafone is charging you such a large amount. Once you have this letter, it should become much easier to dispute the charges they’ve given you (you can show them the contract and the previous correspondence you have). Thanks for your comment. Whatever your feelings on the customer service from Three, I certainly wouldn’t condone this behaviour. What you suggest is equivalent to leaving the country with an unpaid personal loan or an unpaid balance on your credit card. If you aren’t happy with the customer service from Three and if you’ve gone through their formal complaints process, it might be worthwhile raising your issue with Ofcom or a regulator. In France, moving abroad is one of the exceptional reasons that allow you to cancel your contract early without extra charge (with some form of proof). I’d love to see this law exported in other EU countries. is there any way i can cancel my contract (have 3 phones for business) as i am at my wits end with Vodaphone. 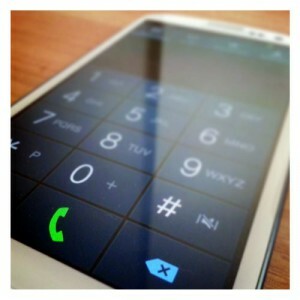 Advised to call into Vodaphone shop, they suggested calling into a Samsung shop which i did. They said that the problem is with the phone, not the battery. Called back to vodaphone shop, they said they would send it off and would give me a temporary handset. They did not have any handsets so i had to purchase the ‘cheapest’ they had which was 50.00. The phone was duly returned with a note saying the handset had been repaired and the software updated, however, within 30 minutes of using the phone crashed again. In between all this i was meant to receive a call-back from a manager with 72 hours which never happened…..
hello i would like to know how much is it to end a contract for vodafone ,as i got 100 mins unlimited text . This section is far too negative. I’m afraid you’ve swallowed what the suppliers like to peddle. Contracts go both ways – if your provider stops providing the service then they are in breach of contract and the contract is no longer enforceable. This is happening a lot now with EE switching off masts right, left and centre, with the remaining masts totally congested. One just has to stand up to them. I am having issues with Three at the moment and despite them making entries on my credit report to say the account is settled they are chasing for a debt which does not exist. I have made a request for information under the Consumer Credit Act 1974 section 77, 78 and 79, but they have sent a letter back claiming they are not bound by the CCA and saying the agreement we have is not a credit agreement but a contract. Thought this information may be of use to you. As things stand, I have asked for a copy of the contract which they dont have either. And as they have no documentary evidence I even had a contract/agreement with them, then they cannot try and enforce any debt. All this is despite the account being closed and settled in full in July last year, which shows on my Experian and Equifax credit reports.